SEI Advisor Network wants to empower advisors to spot problems on their 1040s that their accountants are missing. 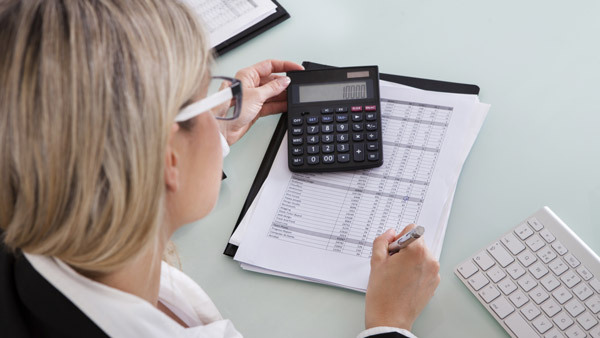 Don't replace your client's CPA, work with her, SEI says. When it comes to complex financial decisions, the rap on advisors is that many lack the subject-matter expertise of CPAs, who have more rigorous professional training and who therefore command a higher level of trust. Indeed, advisors often struggle to form alliances with CPAs, and are often content to serve as junior partners in the relationship. But SEI Advisor Network is seeking to reframe that understanding, and moreover to empower advisors to add value to clients through practical tax knowledge in a way that should raise the esteem in which clients, and their CPAs, hold them. To that end, the separately managed accounts firm last month launched the SEI Advisor Tax Planning Academy, whose first initiative is a series of three hourlong educational webinars held throughout the year. The first session, which attracted 905 registrants in February (and was recorded), focused on what tax returns can tell advisors about their clients and prospects. Dean Mioli, the firm’s investment director, tells ThinkAdvisor that clients are all ears when advisors tell them that they have identified, say, $6,000 in specific savings. “One of my favorite expressions is, ‘Taxes are a matter of fact; investments are a matter of belief.’ With tax management, I can make things happen; investments are much harder to control,” says Mioli. Mioli, whom SEI affectionately dubs its “tax doctor,” isn’t seeking to turn advisors into CPAs through three webinars. “We’re not trying to make them tax experts but we are trying to make them tax literate,” he says. The tax doctor, along with SEI’s practice management guru John Anderson, whom ThinkAdvisor reached by telephone, relate that this highly specific kind of knowledge is sufficient to make advisors extremely valuable to their clients and to their clients’ CPAs. Mioli will follow up next week with his own version of the form containing the tax-saving ideas he found, so advisors can compare results and develop their ability to spot planning opportunities. SEI’s tax doctor offers a few hints as to the kind of things advisors can easily spot. Do they own taxable bonds in their taxable accounts? “I’d rather have them in my IRA where I have tax deferral and where I can compound my returns,” Mioli argues. “Why shouldn’t they own municipal bonds in a taxable account?” Mioli says households in a 28% or higher tax bracket do better with munis on an after-tax basis. The answer is not, as one might first have thought, zero. What’s more, tax-loss harvesting rules allow taxpayers to carry forward losses indefinitely. Charitable contributions are another area rife with particular opportunity for investment advisors. “People give large amounts of cash, where they’d be better off giving appreciated stock; then they wouldn’t have to pay tax on selling the securities,” Mioli says. From Anderson’s point of view as SEI’s practice management consultant, tax-literate advisors have the ability to differentiate themselves at a time when robo-advisors and the plethora of custody options make ordinary investment advice seem like a commodity. So far from being threatened by advisor interlopers, the CPA sees a tax-savvy advisor as a partner. While the CPA may appreciate your efforts, both SEI execs see an opportunity to outshine the client’s CPA through a broad financial planning viewpoint. “CPAs are normally engaged once a year; they’re too busy filling out forms as opposed to giving tax-planning advice,” Mioli says. For advisors who are worried about client resistance to handing over their 1040s and related schedules, Anderson says not to worry — clients are comfortable with providing tax information as part of comprehensive planning. Please see the Top 6 Weirdest Tax Loopholes on ThinkAdvisor. Also view our 22 Days of Tax Planning Advice: 2015 home page.